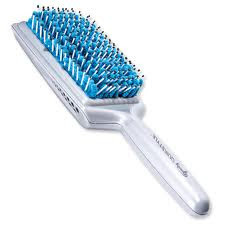 Have you seen this fabulous brush? 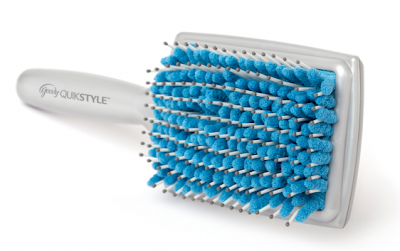 I recently received the Goody Quikstyle Paddle Brush to review in my Influenster 2012 VoxBox. I know all of us ladies love hair tools and products, so I was super excited to try this out and let you know how I liked it! The GOODY QUIKSTYLE Paddle brush works like a towel and brush in one. The super absorbent (and antimicrobial) microfiber removes 30% of water from wet hair to help speed your drying time! You can effortlessly detangle right out of the shower and continue using it while you blow dry! The Comfort-flex grip and slim profile offer ease and control during your styling routine. Go from wet to beautifully styled hair faster than ever. 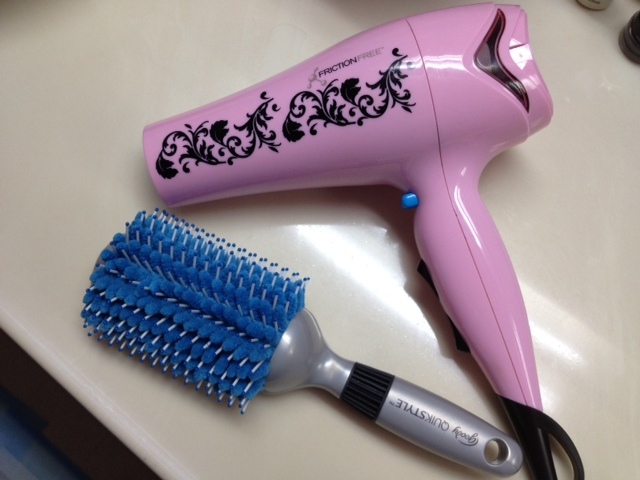 When you combine this brush with your blow dryer, it's magic! I let my hair air dry for a few minutes, and when my hair is just damp, not wet, I start using the brush. I use it like a regular brush when blowdrying. My hair definitely dried faster, but the best part is how soft it felt. With this brush, my hair kind of looked like it had been flat ironed. I don't need to straighten it at all, saving my hair from heat, and possible damage! Not to mention saving myself some blowdrying time. Woo Hoo! I've also been using this brush at the end of styling my hair. 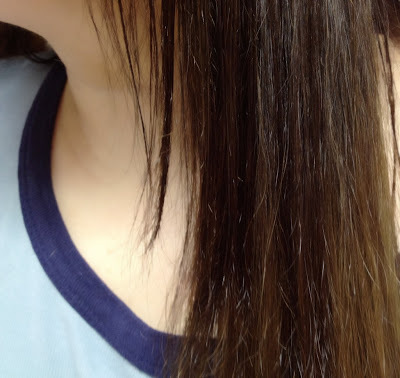 I apply Argan Oil to my hair and then use the brush. It was perfect for smoothing out my hair, and it left my hair so shiny! I love, love this brush, and highly recommend you give it a try! You can see reviews here to get other's take on this great brush! Have any of you ladies tried this out? What do you think of it? I received this product complimentary from Influenster for review purposes. However, all opinions are my own. Nice review! I really like Goody products. Looks good. I'm up for anything that saves drying time! 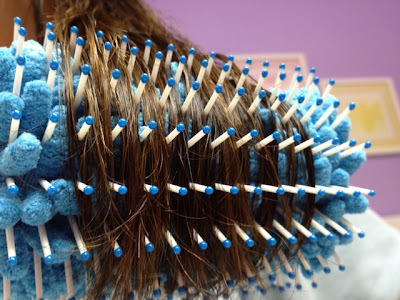 Wow, I've never see hair brush like this, but looks great. Have a nice day. Xoxo V.V. Nice blog! 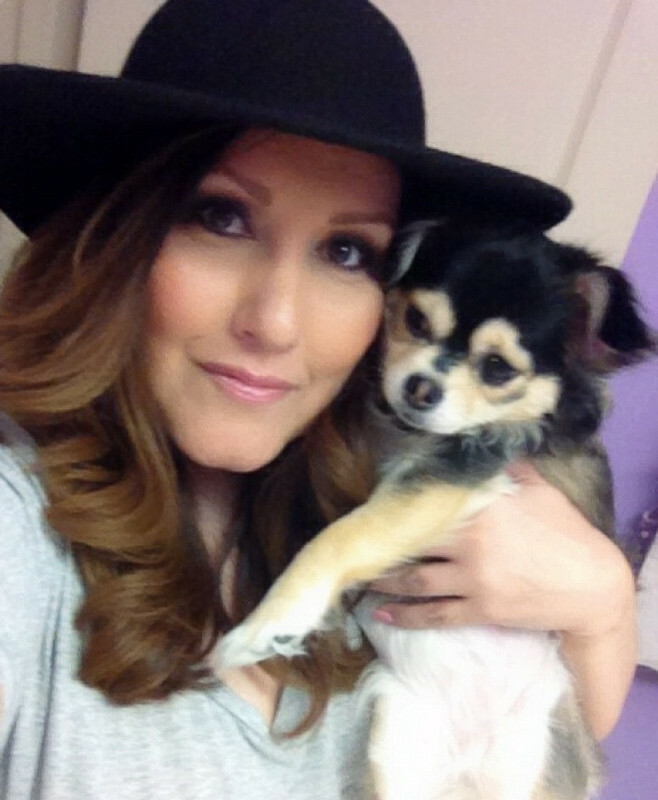 I have a blog about skincare! Thanks hun! I will check your blog out and follow you!